Hey kids! Wanna ditch school and get paid? But the ceremony, scheduled for 11 a.m. April 7 in the Capitol Rotunda is during school hours, at least for Santa Fe Public Schools. Drawn and quartered: Speaking of the state quarter, I have some crow, or maybe some roadrunner, to eat. Two years ago, when the governor announced the state was seeking ideas for the state quarter design, I made a, well, bold prediction in my blog about the eventual result. I guess I forgot to mention Roswell aliens and Chimayó chile ristras. The design turned out to be a simple Zia symbol over the outline of the state. Kos and effect: Just a few months ago, when Richardson was running for president, one of his harshest critics in the left blogosphere was honcho Markos Moulitsas Zúniga of the Daily Kos blog. But now, the blogger has changed his tune. “For the record, I am rooting for a Richardson VP nod. I’ll be writing about that later this week,” Zúniga blogged on Tuesday. 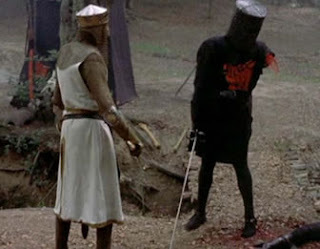 Only a flesh wound: The state Supreme Court on Wednesday dismissed 3rd Congressional District candidate Jon Adams’ lawsuit challenging petitions filed by Democratic primary rival Don Wiviott. The high court unanimously upheld state District Judge Daniel Sanchez’s ruling that Adams wasn’t specific enough in his lawsuit that claimed more than 900 of Wiviott’s signatures were invalid. However, Adams, in a news release later, still insisted Wiviott had committed “massive fraud” with his petitions and said he’s considering an appeal to the federal courts. The congressional glut: Just in case you were afraid there just aren’t enough candidates for that 3rd Congressional District race, another independent candidate is trying to get on the ballot. Building contractor Ron Simmons, 62, said Wednesday that he’s starting to gather petitions for the race and already has launched a Web site. “I know I’m unknown, but I’m serious,” he said. Simmons said he moved to New Mexico in 1970 and has lived in Nambé, Chimayó and Santa Fe. He described himself as a “lifelong Democrat,” but said he became upset with the party over its superdelegate system in choosing the presidential nominee at the national convention. Simmons changed his voter registration to “declined to state” in January, he said. He’s hosting a meet-the-candidate/petition-signature-gathering party at 1:30 p.m. April 5 at the Randall Davey Audubon Center on Upper Canyon Road. Simmons isn’t the only indie seeking the seat. Former Green Party member Carol Miller of Ojo Sarco is making her third try for the seat. Getting on the ballot won’t be easy for either of them. Independents need nearly 6,000 valid signatures of registered voters by June 4, the day after New Mexico’s primary election.